If your’e logging on as a new user and Internet Explorer has not yet been ran, then it wants to run the "Setup Windows Internet Explorer 8" or "Set up Internet Explorer 9" Wizard. On just one machine with one user that’s fine, but if you are logging in all over the place, with multiple credentials, this can get quite annoying. 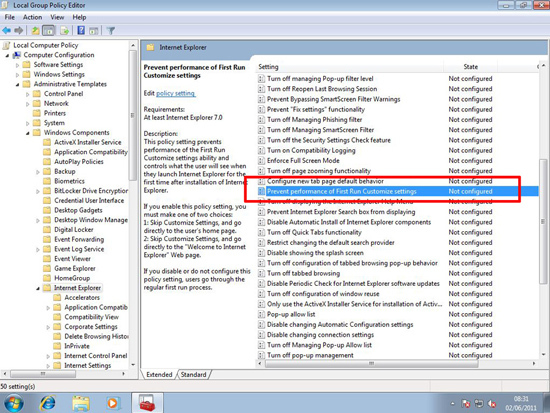 Also you might not want your domain users having to do this at all, for security reasons. 2. Navigate to > Computer Configuration > Administrative Templates > Windows Components > Internet Explorer > Prevent Performance of First Run Customize settings. a. Go directly to home page. b. 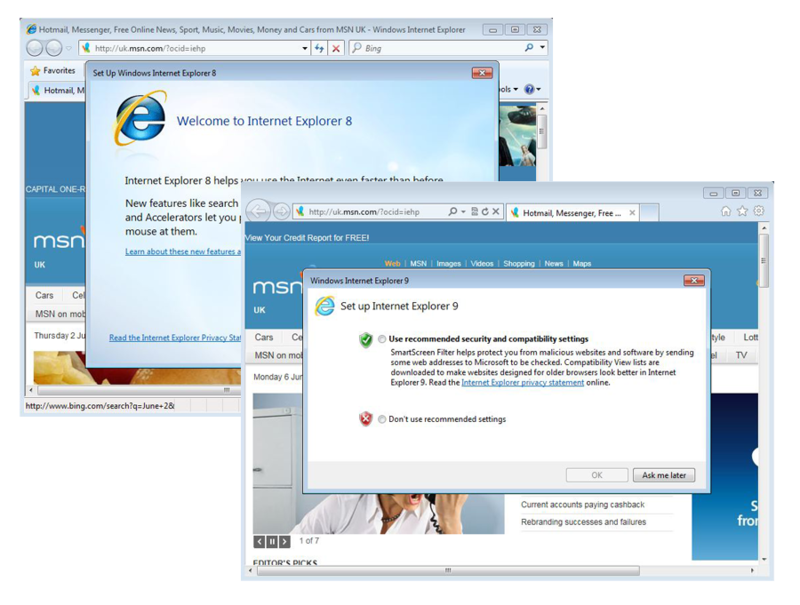 Go to the "Welcome to Internet Explorer" Web page. 2. 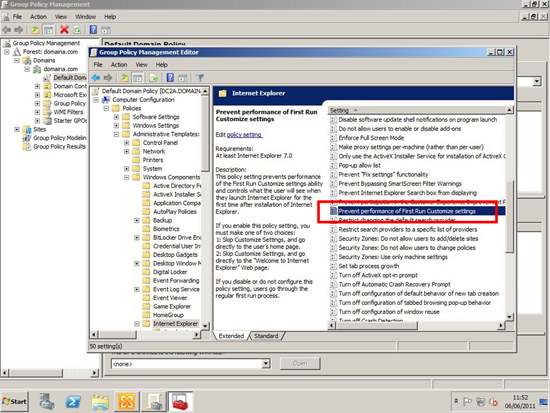 Navigate to > Computer Configuration Policies > Administrative Templates > Windows Components > Internet Explorer > Prevent Performance of First Run Customize settings.